Harvey is returning for his seventeenth season as manager of the Bourne Braves. He has over 30 years of baseball coaching experience at the college level, including stints at Springfield College, Bowdoin College and the University of Hartford. 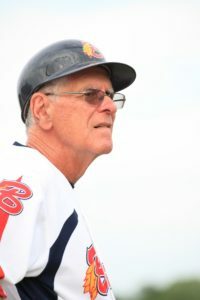 Harvey has been a coaching mainstay in the prestigious Cape Cod Baseball League for more than 20 years. He is the all-time wins leader in Bourne with 370 wins, and, as a Cape manager, Harvey has 484 victories, which includes 27 playoff wins. In 2017, the Braves had an exciting playoff run. After sweeping Cotuit and Wareham in the first two rounds, the team lost the deciding third game of the Championship. In 2009, Harvey led the Braves to their first Cape Cod Baseball League Championship! The team finished the season with a record of 25-17-2 and a 1st place regular season Western Division Title. The Braves went on to sweep the Orleans Firebirds in the first round of the playoffs and then swept the Cotuit Kettleers for the Championship. In 2014, Harvey led Bourne to their sixth regular season Western Division Title in fourteen years. That same year, the Bourne Braves received the President’s Cup for their achievement of the most regular season wins in the Cape Cod Baseball League. Harvey managed the Braves to the Cape Cod League playoff finals in 2003, 2005, 2009 and 2017. During the 2005, 2010 and 2013 seasons, the Bourne Braves were presented with the Commissioner’s Cup, which recognizes the extraordinary accomplishments of an individual franchise. As the manager of the Falmouth Commodores from 1994-1998, Harvey led the Commodores to a divisional regular season championship in 1994 and the playoff finals in 1996. Harvey was the 1996 Cape Cod League Manager of the Year. Before managing Falmouth, he was an assistant coach at Wareham and Yarmouth-Dennis. Harvey has managed the West squad in seven Cape League All-Star games, two of which were at Fenway Park. He has had the privilege of coaching a number of major leaguers who have played for him in the Cape League. Just to name a few, these players include Chad Green, Travis Shaw, Mitch Moreland, Brad Lincoln, Justin Maxwell, Darin Erstad, Adam Kennedy, Eric Milton and Jeff Weaver. 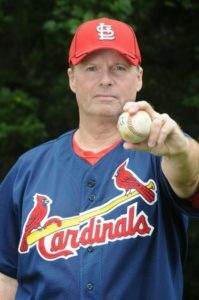 Harvey also has international ties, having served as the Netherlands National Baseball Coach for three years, and he coached the Dutch in two world championships in Cuba and Holland. He has conducted clinics in Zimbabwe, South Africa, Holland, Germany, and the Netherlands Antilles. Harvey is also a published author on baseball and has served on various collegiate and international committees. Harvey is a graduate of the University of Connecticut where he played baseball and earned a bachelor’s degree in accounting. He holds a master’s degree in physical education from Springfield College. Wayne is returning for his third season with the Braves. Haling from Gardner, Massachusetts where he was a two-time North Worcester County All Star catcher and a three sport GHS Hall of Famer. Caught for the Massachusetts State Champion Leominster American Legion Post 151 team in 1971 while being named to the Zone 4 All Star and in 1998 was named a charter member of the Post 151 Hall of Fame. Went on to play at Springfield College under Archie Allen from 1972-1975. Caught for Eastern Mass Baseball league champions Acton A’s in 1973. Also served as a player-coach for the Liverpool Laurapers in the Southwestern Nova Scotia Baseball League from 1976-78 where his team earned a championship in 1978. Hancock concluded a 38-year teaching-coaching career at Cushing Academy in Ashburnham, Massachusetts that stretched from 1977 through his retirement last summer. Instrumental in creating the Central New England Prep School Baseball League in 1983 Hancock-guided teams appeared in 16 title games winning championships on 8 occasions. He also served three different stints coaching the Gardner American Legion Post 19 Baseball teams in the ‘80’s, 90’s and early 2000’s. Hancock was elected to the Massachusetts Baseball Coaches Hall of Fame in 2009 and currently serves on the MBCA executive board. Hancock has two adult children and lives in Ashburnham with his wife of 40 years, Maria Ulloa. Ace joins the Braves for his first season but he is no stranger to the Cape League.. He played for three years in the Cape from 1972-74 and was a league All Star in ’73. He has served as an assistant in Falmouth, Chatham and Couit and was the manager in Falmouth from 1992-93 where he coached future CCBL Hall of Famer Darin Erstad. From 1984-86, he worked for the Red Sox as a batting practice pitcher. He has worked in the minor leagues for Boston, Montreal, Florida, St. Louis and Houston. He joined the Detroit organization in 2016, coaching the Connecticut Tigers of Class A NY-Penn League. In 2018, Ace was elected into the Western Massachusetts Hall of Fame as well at the Cape League Hall of Fame. He lives in Longmeadow, MA with his wife, Wendy and daughter, Abigail. Aaron Meyer joins Braves for his first season. Meyer has just completed his second year as a member of the Missouri State coaching staff and his first as a graduate manager. 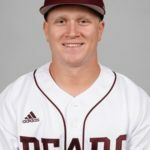 Following the completion of his four-year Missouri State playing career, the Millstadt, Ill., native served as a student assistant for the Bears while wrapping up work on his undergraduate degree last season. Meyer worked with the MSU infielders and hitters, in addition to assuming first-base coaching duties in 2018. A first-team All-MVC choice at second base as a senior in 2017, Meyer hit .292 with career-best figures for homers (4), slugging (.441) and fielding percentage (.962), despite being limited to 41 games due to a season-ending knee injury. For his career, he batted .287 with 164 total hits, six homers and 76 RBIs in 187 games, including 151 starts. As a junior, Meyer emerged as one of the Bears’ top offensive threats, hitting a career-best .315 and posting the longest hitting streak by a Valley player in 2016 with a 20-game streak. He turned in a torrid summer of 2016 with the DuPage Drones, setting a Prospect League record for hitting (.423) en route to collecting the circuit’s Mike Schmidt Player of the Year honor. Additionally, he was named MSU’s Danny Cook Rookie of the Year after starting 32 of the Bears’ 57 games and hitting .226 for the season. Meyer graduated from MSU with his degree in sport administration last May. Nick Rascati is joining the Braves staff for his first season. Nick has just completed his playing career at Eastern Connecticut State University. Nick is from Wallingford, CT and played for the Falcons helping them win a conference championship. Casey joins the Braves coaching staff for his first season. 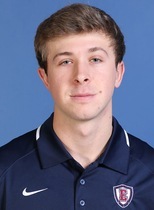 He recently served as the pitching coach for the Worcester Bravehearts of the Futures Collegiate Baseball League from 2014 to 2018. During that time, the Bravehearts won the league championship in 2014, 2015, and 2018. In all of those seasons, the pitching staff finished the year in the top-half of the Futures League in team ERA. 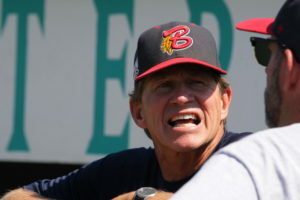 Also, Cummins directed the Bravehearts Youth Baseball Camps for over 100 local youth players. He also was an assistant coach at Nichols College and Saint John’s High School. Currently, he serves as a coach with the Sutton High School varsity baseball program. Cummins graduated from Merrimack College in 2012 and earned a bachelor’s degree in history and education. 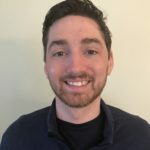 He currently teaches Social Studies at Sutton Middle School and resides in Leicester, MA with his wife, Laura, and son, Kyle. Cam Brown is excited to start his second season as a bat boy for the Bourne Braves. He is going into sixth grade at Amherst Middle School in Amherst, NH. He spends his summers in Bourne and has attended nearly every Braves game for the past three years. 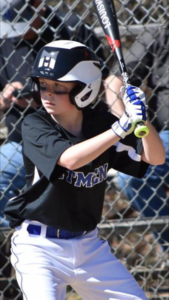 When he isn’t watching the Braves play in a game or practice, he enjoys playing baseball, basketball, skiing, competitive swimming, and sailing. Dominic is 11 years old and in the 5th grade at Bourne Middle School. He is in his 3rd year as batboy for the braves. He is very passionate about most sports and is very athletic. He spends his spring and summer either playing baseball or going to cape league games. During the off season he plays fall ball baseball and basketball. He loves to teach his 6 year old brother and almost 2 year old sister how to play baseball, football, basketball and soccer. Ben is returning for his fourth season as a Braves’ bat boy. Ben loves to play and watch baseball. He is a member of the Diamond Division Hitmen Elite baseball team. Ben is also a member of the BYB National Division Champion Reds and plays for the All-star Bourne Youth Baseball summer teams. In the winter months, Ben participates in the Bourne Youth Basketball Travel and SWISH programs. Ben is a Honor Roll student and will enter 7th grade in the fall. 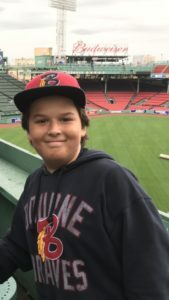 Matthew Gabriel is an eleven-year-old young man that loves baseball. Matthew currently lives in Braintree with his parents, brother Jeffrey, and cat Haley. 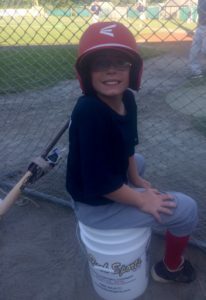 He plays baseball for the East Braintree Little League and Summer Travel team and won the AAA Championship last season. His favorite position is catcher. Matthew’s favorite big league players are Mookie Betts and George Springer. 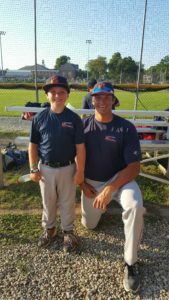 Matthew enjoyed being a bat boy last summer and is looking forward to his third season as a Bourne Braves bat boy. Kobi Polisky is 9 years old. This is Kobi’s second year as a batboy for the Braves. He plays spring, summer and fall ball. He also attends as many weeks as possible of Braves Clinics every summer since he has been old enough to attend. Kobi is a pitcher for his team and also plays 3rd or 1st base. He is in the American League for Bourne Youth Baseball. 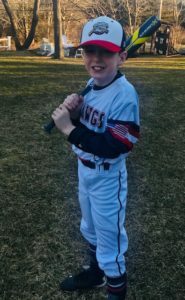 When Kobi isn’t playing baseball he is skiing ( all winter and spring), he is very active and enjoys hiking, kayaking, swimming, tennis, wrestling, and traveling. 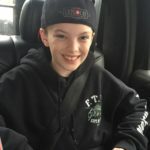 Kobi is also a child actor that has been in 21 television commercials, a web series, music video, 2 Netfix movies (Polka King and (not yet released) Trust No 1 he has a featured role in a movie The Burning Woman. He keeps working hard at whatever he does all while getting amazing grades in school. Chaz is 9 years old and will be enterting the 4th grade at Orleans Elementary. He loves karate and riding his bike. He is also playing for the Brewster Little League. His favorite position is catcher. 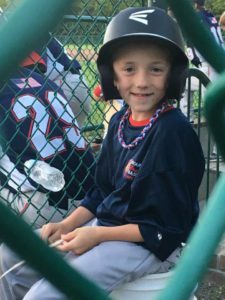 Chaz was a bat boy for the Bourne Braves last season and is looking forward to his second season as a bat boy. Drew is 10 years old and is entering fifth grade at the Oak Ridge School in Sandwich this fall. He has returned for his second year as a batboy for the Braves. Drew loves both watching and playing baseball. His favorite positions are first base and pitcher. Drew plays year round AAU baseball for the Dugout Dawgs. He also plays Sandwich Little League in the spring and has been a Sandwich Little League summer all star player for the past two years. During the off season, Drew enjoys playing ice hockey and basketball. 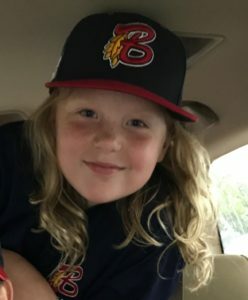 Johnny Rae Tompkins returns for her second season as a Braves bat girl. She will be entering 5th grade at the Rising Tide Charter School this fall. Johnny played SWISH basketball and on the YMCA Gleason team this past winter as well as for the Mass Huskies AAU Program. She is currently playing on the Red Sox in the American League for Bourne Youth Baseball. Johnny also loves to paint, build forts and play with her dog, Ruthie. 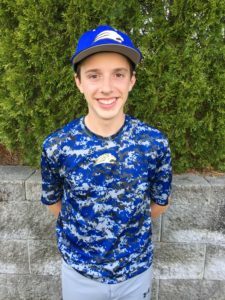 Jake is 14 years old and has been a bat boy for the Bourne Braves for the past four years. He enjoys hockey, basketball and especially baseball, and can usually be found playing catcher. He will be attending St. John Paul High School in the fall. 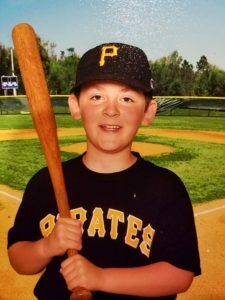 Tyler is 10 years old and has played baseball since he was 4 years old. He attends Peebles School in the 4th grade. Last year he pitched and played shortstop for his team. He has played on the Bourne All Star team for the last two years. He is an avid fan of the Bourne Braves This is his first season as a bat boy for the Braves.